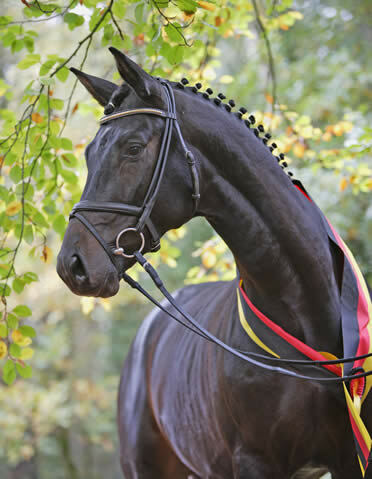 Bred by Gestuet Haemelschenburg in Emmerthal, Germany and owned by Gustav Schickedanz, the 2004 dark bay, by Summertime and out of Schwalbenspiel, was the champion of the 2006 Trakehner Stallion Licensing in Neumunster, Germany where he was complimented on his gallop and free jumping. 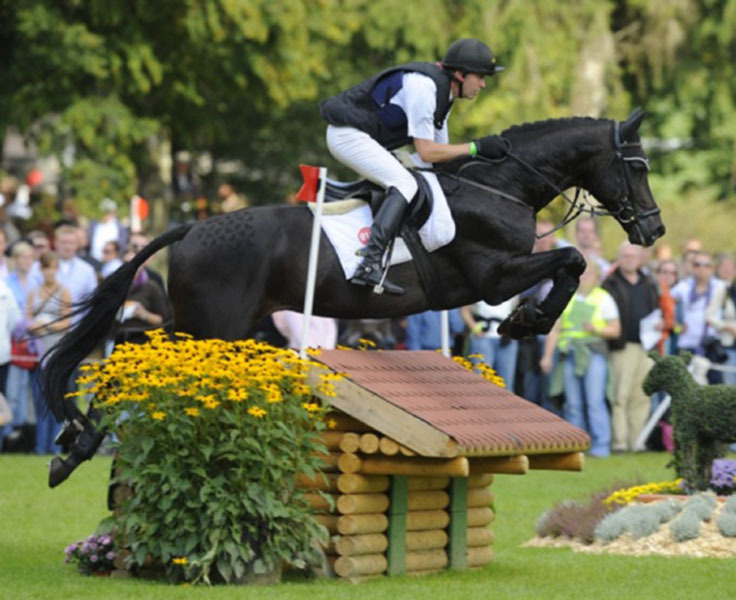 Songline qualified for the eventing National Young Horse Championships in both 2009 and 2010, winning the 2010 national champion Six Year Old Eventing Horse (Bundeschampion). 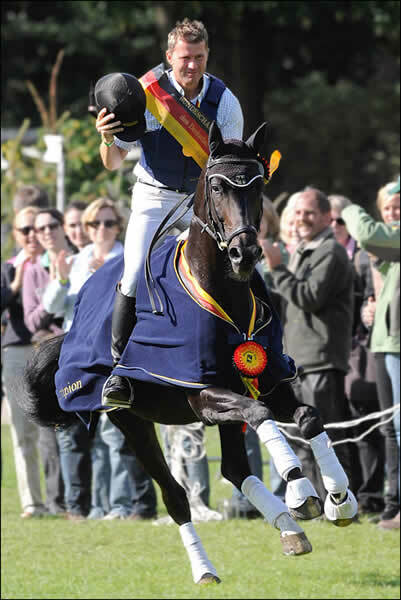 Andreas Dibowski’s student, Franziska Haunhorst won the CIC* at Bad Harzburg in 2010 on Songline, and was 2nd at the CCI* at Kreuzau. The pair competed at the 2010 FEI World Young Event Horse championships at Le Lion d’Anger in France and finished 23rd of 70 starters. In 2012 Dibowski took back the ride on Songline and won or placed highly at four FEI horse trials, including a 3rd at the CIC*** at Arville. 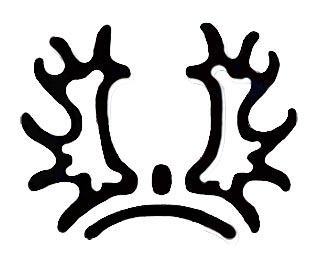 Songline has already one approved son, Eiskoenig, who was sold to Belgium, and numerous good daughters, who are now winning in competitions. This stallion is a true testament to Trakehner horses because his talents are balanced. 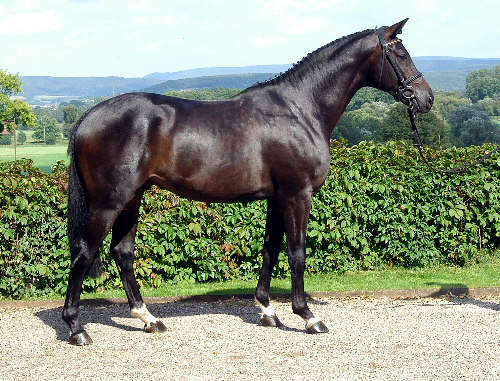 He is and produces conformational correctness, which is an essential building block in breeding sporthorses and he has phenomenal quality of gaits, in the opinions of many Koerung inspectors and competition judges.